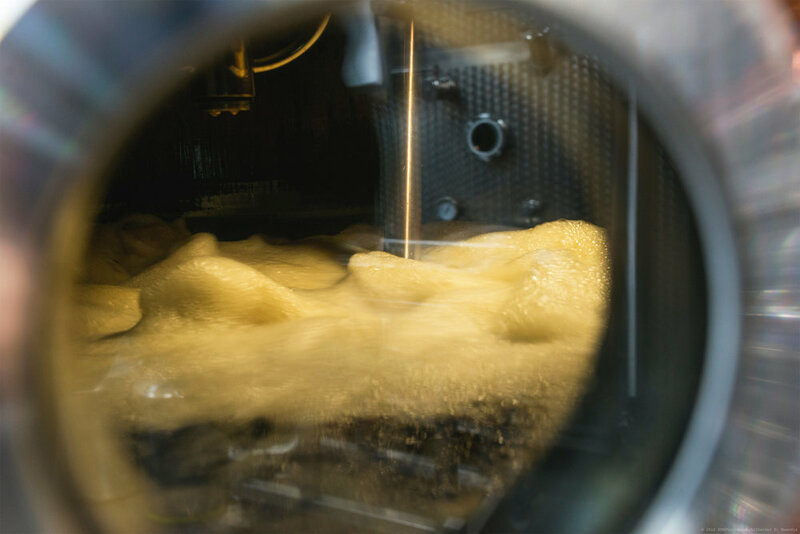 Created using our innovative three stage process developed in 2014, Foxhole Gin is crafted using the rare and valuable by-products from the English grape harvest; English wine grapes. Taking us 8,760 hours to make; Foxhole Gin is beautifully balanced, smooth and aromatic with flavours that subtly change with each new vintage. Follow our story below to find out more. GRAPES THAT MAKE WORLD-CLASS WINES. AND NOW, SOMETHING ELSE BESIDES. Sussex one of the longest-established wine regions in England and has been producing top-quality grapes, and world-class still and sparkling wines, since the 1970s. The grape varieties grown have changed over the decades, hand in hand with winemaking know-how, consumer tastes and the vagaries of the English climate. In the early days, critics scoffed at the very idea of English sparkling wine. Then came the naysayers who said it was impossible to make a red wine in England. Time and numerous international awards have answered them all. Now, the unique soil, aspect, vines and people here are producing not one, but two world-beaters. For forty years, in its own quiet way, this corner of Sussex has been a veritable hotbed of revolutionary thinking. A tradition of innovation we’re proud to continue with Foxhole Gin. Where surplus material becomes a world-beater. After pressing, the beautiful English grapes are reduced to a pulpy mass of skins, flesh and pips. Known by its French name, marc, it’s a waste product; and every year, the industry produces literally tonnes of the stuff. Unfortunately, it usually ends up on the compost pile, along with around a third of each harvest’s precious juice: an inglorious fate for a resource so rare and valuable. It just didn’t seem right. We thought: there has to be something better we can do with this. And there is. We recover marc from vineyards throughout England, and send it back for a second pressing. 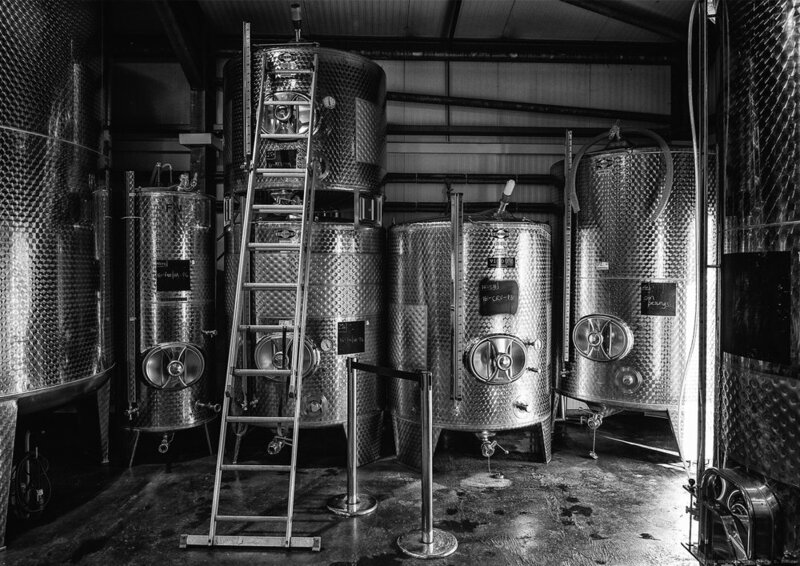 All that exquisite, formerly lost juice is lovingly collected, fermented and made into an English Wine. 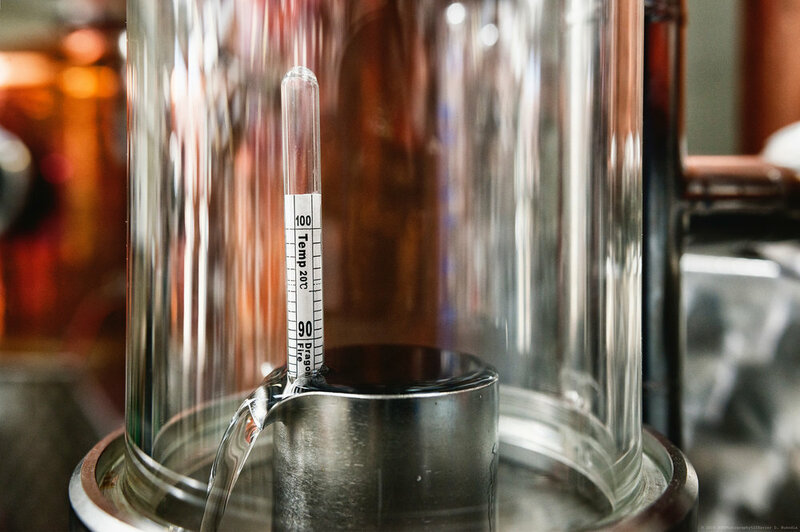 Not that you’ll ever get to drink it: every drop is shipped to the distillery, where it takes its place at the heart of our unique Foxhole Spirits products. What was once simply discarded is reclaimed and repurposed through craft, skill and resourcefulness. Why just make a great cocktail, when you can also make a real difference? A blend of skills, experience and artistry as rare as the Gin itself. Technically, you can make gin in about 48 hours. 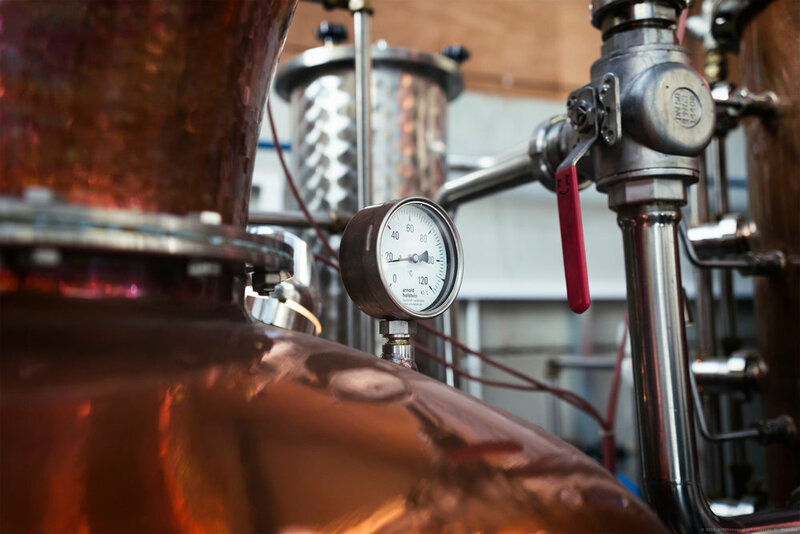 Which makes you wonder why we need 8,760 – or an entire year - to make a batch of Foxhole Gin. 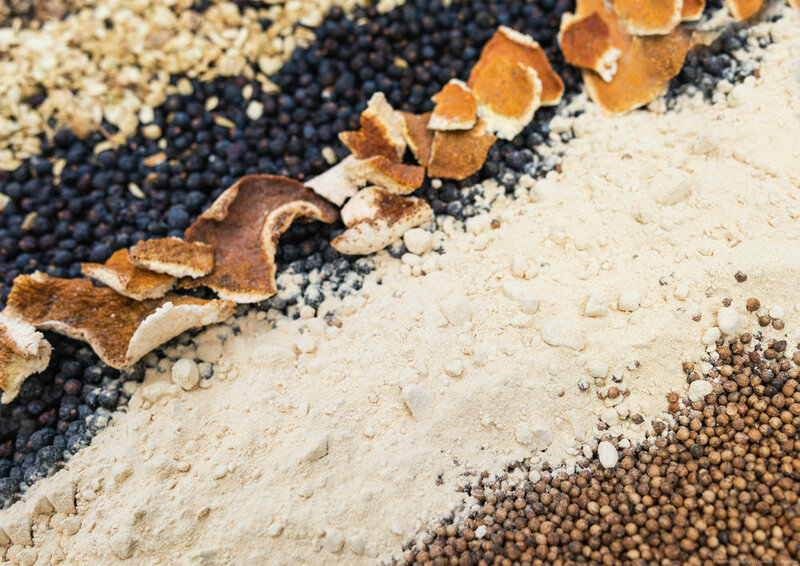 The answer is that most gins are made using grain spirit alone. Ours, on the other hand, includes grape spirit. So we have to factor in a full grape-growing season, harvest and first pressing for winemaking, before we can even start. Then we have to make our own English wine, which doesn’t happen overnight, either. But because no two grape vintages are the same, our raw material changes from year to year, too. 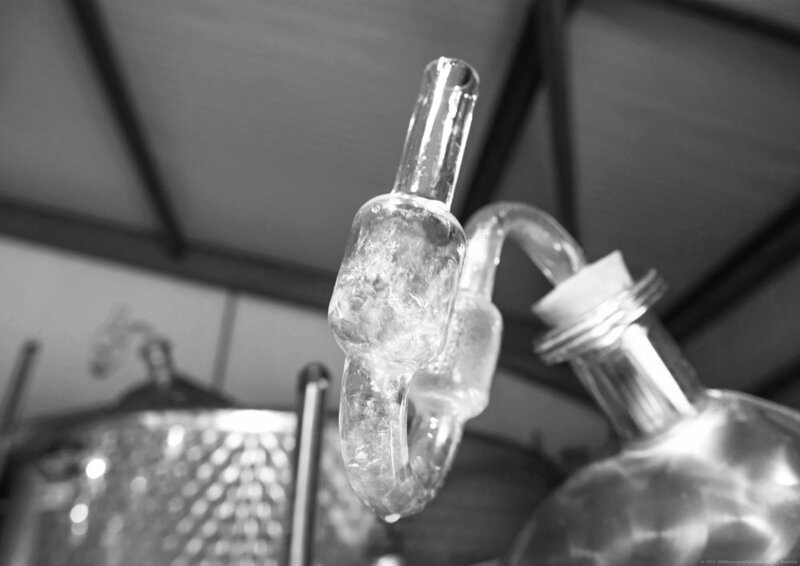 So we work with our distillers to achieve the perfect flavour balance and ensure consistent quality. 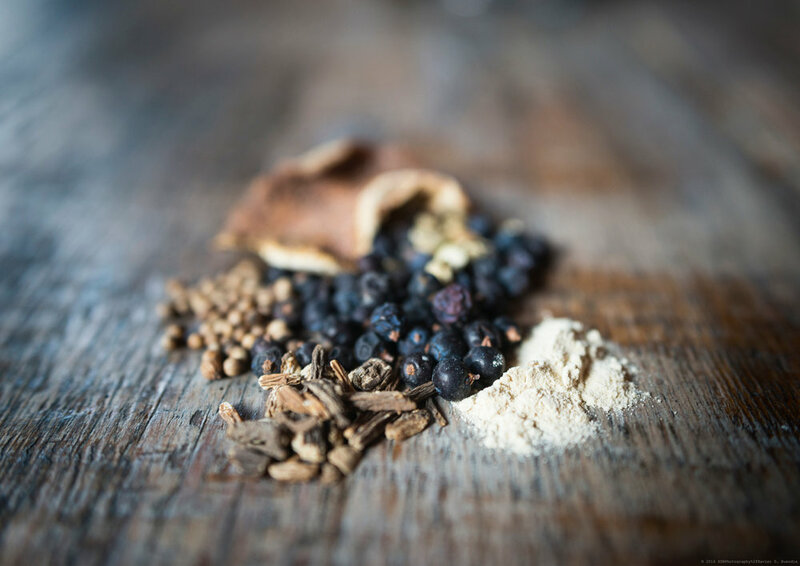 The result is a smooth, aromatic gin whose flavours subtly change with each new harvest. To be honest, we couldn’t make it any quicker, even if we wanted to. We think you’ll agree it’s definitely worth taking time over. Without wine, there would be no Foxhole Gin. And we could think of no better homage to the winemaker’s art than to present our product in a Burgundy-style wine bottle. The glass is perfectly clear like Foxhole Gin itself, and sealed with a glass closure under a copper foiled seal. We developed the Foxhole Gin brand in collaboration with brand design agency Warren Creative who share our love of traditional craftsmanship, and finding clever, elegant answers to questions others don’t even think to ask. Each bottle is screen printed by hand with a precious metal ink, which is fired at a precise high temperature to turn the ink copper, along with a white ceramic ink to emphasise the detail in the design. The back and sides of the bottle are decorated with a custom illustration of vine leaves, reflecting Foxhole Gin's oenological connections. Our bold, bushy-tailed fox logo appears in all his glory on the front, and in a subtly embossed form on the top of the seal. "The Ultimate Dry Martini Gin"